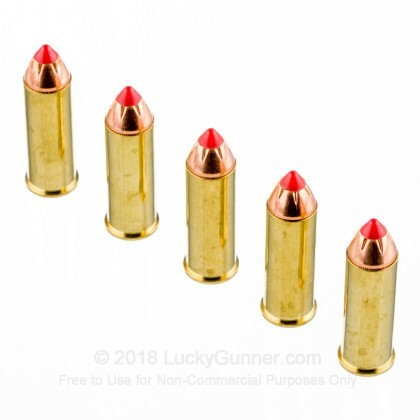 Hornady's FTX LEVERevolution line is a custom grade ammunition that will deliver dramatically flatter trajectories for downrange energy increases and greater terminal performance. 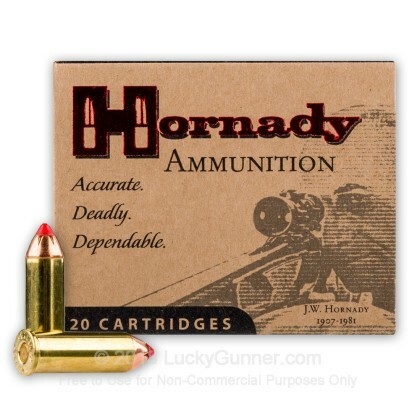 It features up to 40% more energy and 250 fps faster than traditional flat point loads. 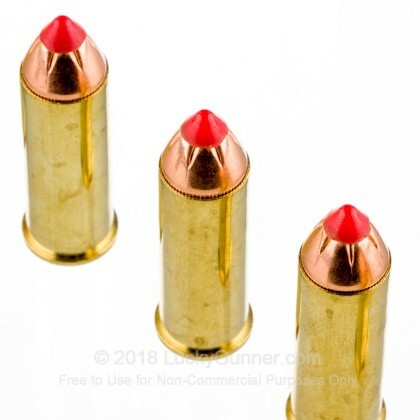 The Elastomer Flex Tip improves the ballistic coefficient significantly over traditional rounds producing flatter trajectories and devastating terminal performance. 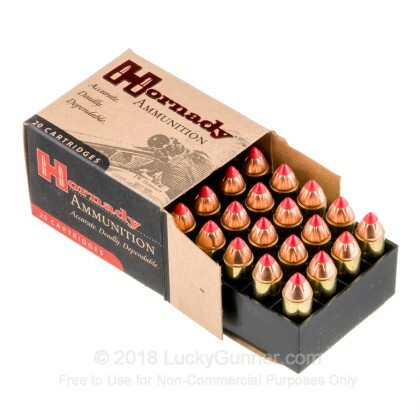 Been using this for years, in riffles and big bore revolvers, super fast and super accurate, great heavy brush hunting round, also most accurate and consistent off the shelf round I have ever used in 44 mag. Can’t say enough about it. 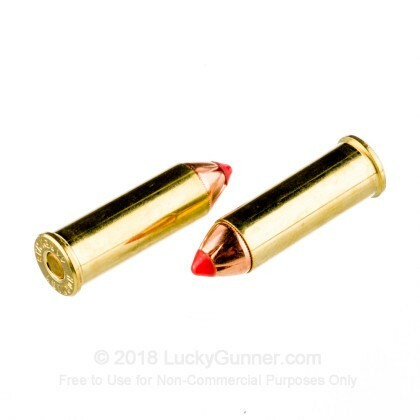 If your extremely picky and expect a lot out of your ammo, you won’t be disappointed. 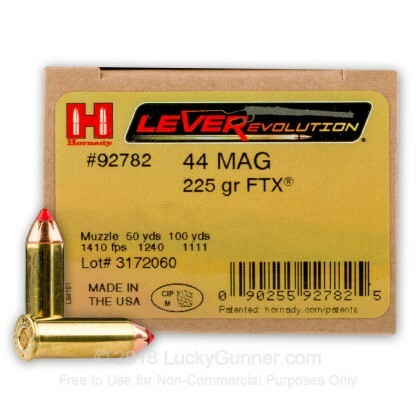 We also have this 44 Mag - 225 Grain FTX JHP - Hornady LEVERevolution - 20 Rounds ammo in stock in a smaller quantity.